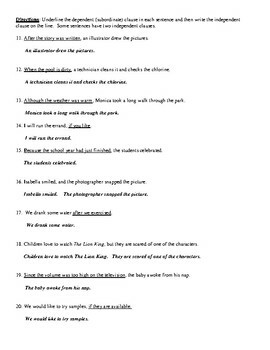 This is a handy review which helps classes to identify independent and dependent clauses in a fun, educational manner. 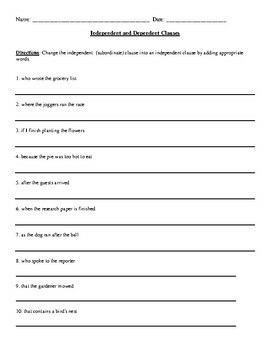 Using their creative skills, individuals, partners, or groups of students add words to subordinate clauses in order to make them into complete sentences. 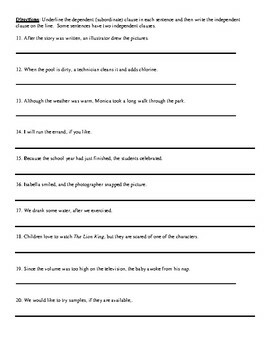 This is a perfect share-out activity, one which students love as they reveal their original thoughts. 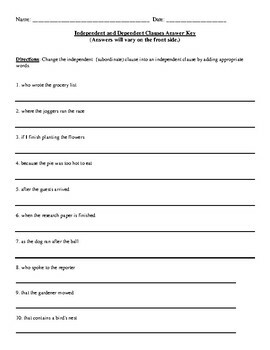 The back provides students will a chance to identify independent and dependent clauses in sentences. A detailed answer key is included.